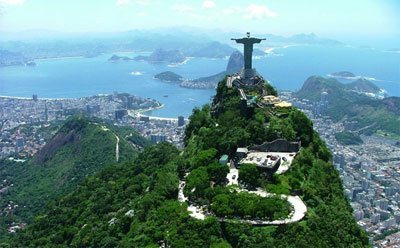 Cumbuco, located only 40 minutes from Fortaleza Airport, where you will land on your flight from Miami, is the capital of the kite of Ceara, Northeastern Brazil. Great Wind conditions, and kite facilities. 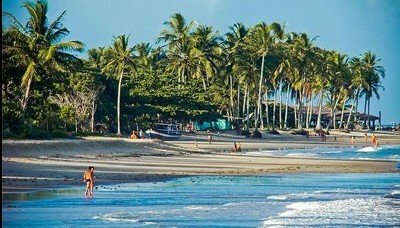 Cumbuco has all you need for great kitesurfing vacation: Awesome kite conditions every day with strong steady wind and wide sandy beaches. 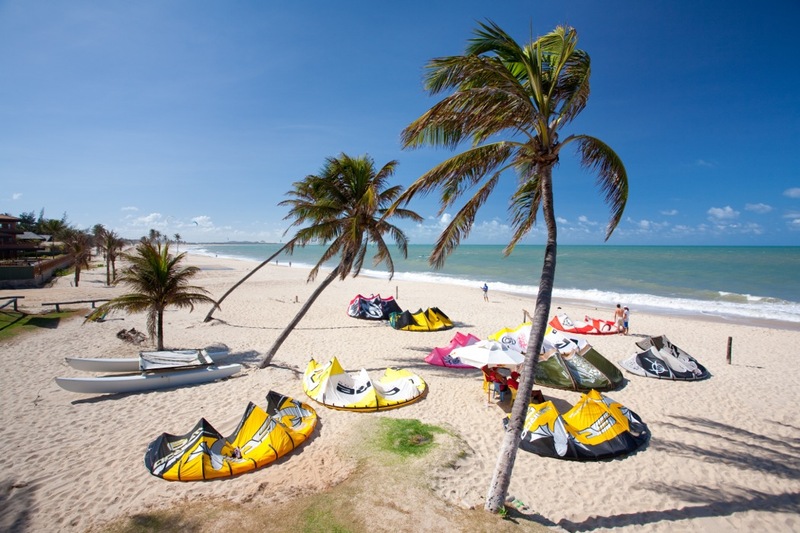 Several Kite clubs in Cumbuco provide kite lessons, rentals, and organize downwind kitesurfing trips. In the village there are Kite repair shops, gear shops, many restaurants and great accommodation. 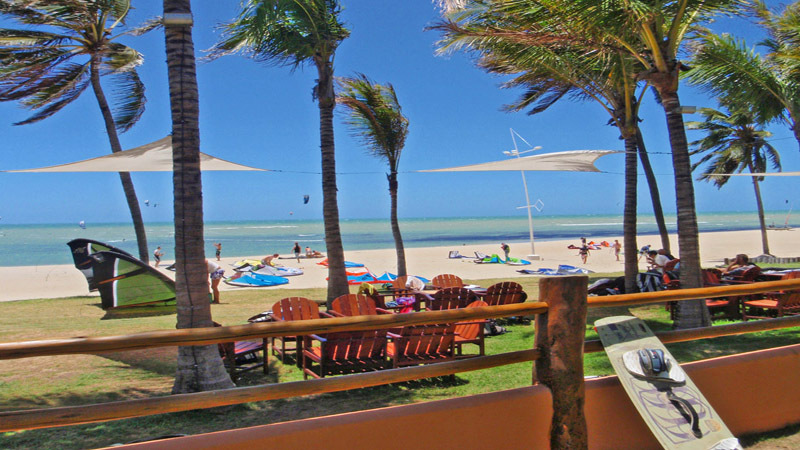 During the day, you may kite in Cumbuco village, downwind to lagoon, or chill-out at the lagoon. 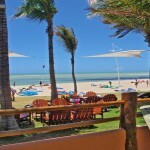 Nightlife also offers options in the lovely village center, or a short drive to Fortaleza for many more options for party. 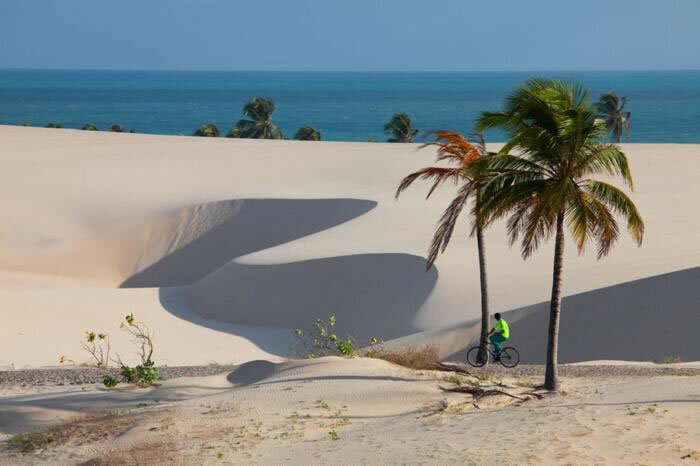 Locals in Cumbuco and Ceara in general are friendly, helpful and hospitable , which is a plus and ads to the relaxed atmosphere in the village. 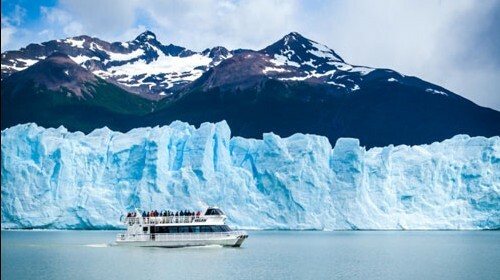 Best Season: August – December, July and January can be good as well. Main Wind: Steady Wind, 18-26 knots, side-shore, every day at season. Perfect Wind for kite. Main kite size: 9 for male around 80kg, 7 for a female around 55kg. Kite Lagoons: Popular Cauipe lagoon, Tabuba lagoon. Kite Beginners: Good. 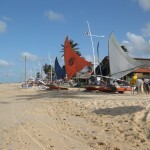 Many kite clubs and Cauipe lagoon. Kite Beaches: Mostly wide and sandy, can get smaller on high tide. 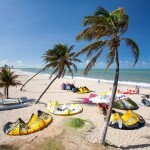 Kite services: Kite clubs, lessons, rentals, repairs and kite trips. 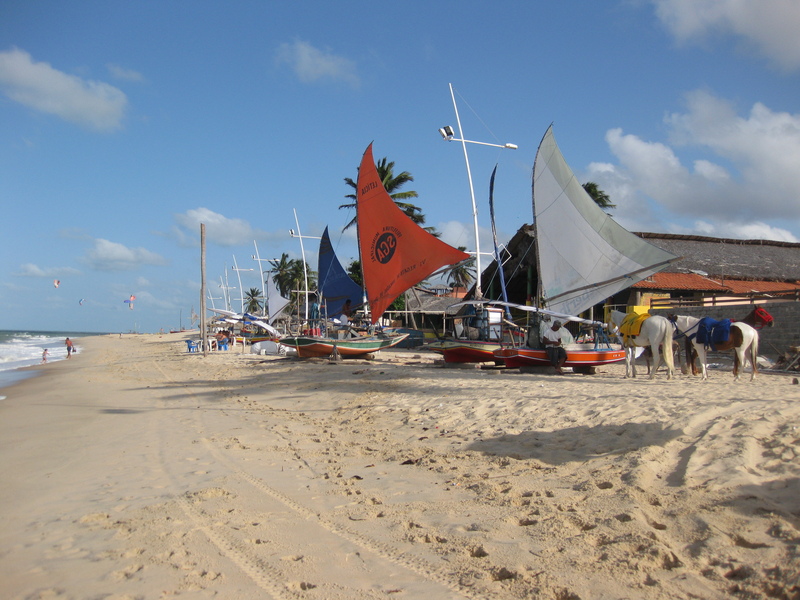 Downwind trips: Cumbuco to Cauipe lagoon. 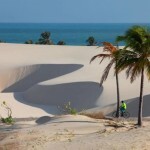 Get to Cumbuco: Fly to Fortaleza, then drive 40-60 minutes. Night life: Few bars and many restaurants. 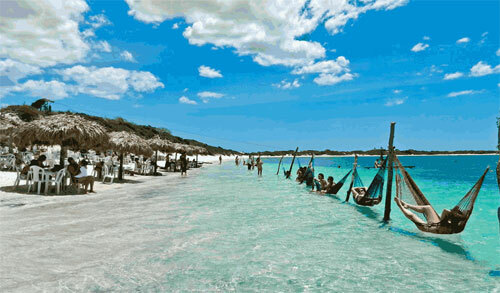 For serious clubbing go to Fortaleza.